I was kindly presented with the Leibster Award by the lovely ladies over at Unsullied! Not gunna lie, I was a little confused at first, but once I took the time out of my busy flopping around in my PJs schedule and did some reading everything became clear! We need to answer the questions from the nominator, list 10 random facts about yourself, and create 10 questions for your nominees. 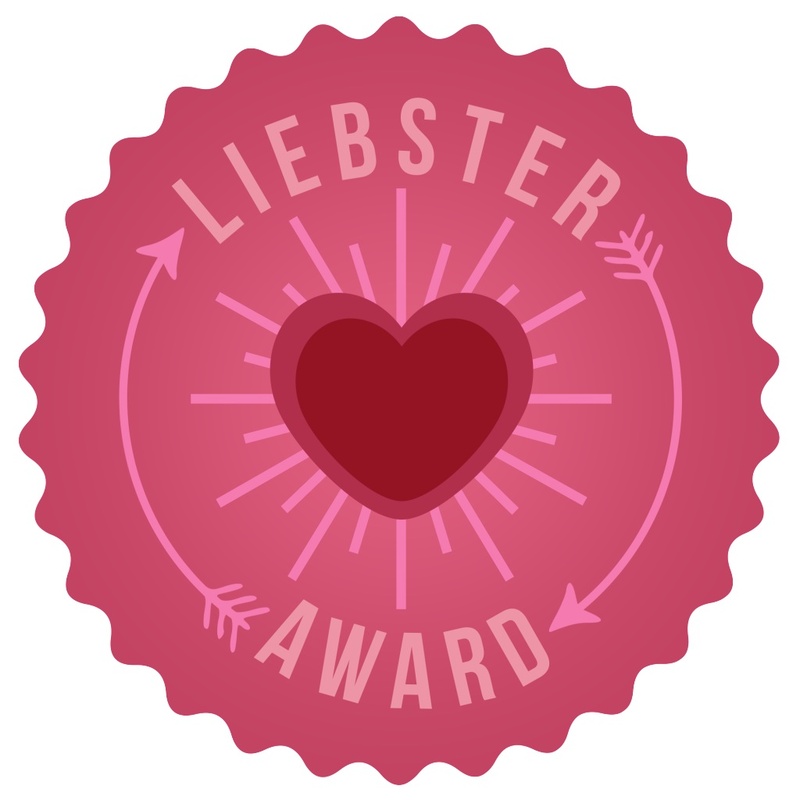 Present the Liebster Award to a few other bloggers (who have blogs with 200 followers or less), whom you feel deserve to be noticed. It would make sense to leave a lil’ comment on the blogs letting the authors know they have been chosen! Upload the Liebster Award image to your blog! So, see below for the questions the Unsullied ladies have presented me with, and my answers! What’s the one “dirty” or not-so-natural product you’ve had a hard time giving up or still can’t live without? Hmm I’m actually pretty good as far as it goes with skin and body care… I tend to get a bit lazy when it comes to the ‘essentials’ like deoderant and stuff. I hate to say it, but just picking up whatever is on offer at the supermarket generally wins the battle. Plus I tend to run out at not a lot of notice (I’m disorganised basically) so I usually don’t have time to wait for an order! What’s your favorite go-to fast breakfast? I wish I had one! Usually I just plod around the kitchen in a tizz for a good 10 minutes wasting a load of time. For the most part I keep stock of some yogurt that I can just about settle for! I try to keep some relatively low sugar porridge pots in stock, too, or just take a handful of granola to work with me for my yogurt! If you could only eat one dish for the rest of your life, what would it be? Good question. Am I allowed variations? I’d probably go for pasta or noodles… if I could choose different toppings for every day. If not… my favourite meal has gotta be a Laksa style noodle broth full of veg. That way I at least get some different flavours! I tend to get sick of food pretty quickly though, so I know I wouldn’t last long before hell broke loose. When do you produce your best blog entries? What time of day/day of week? As you can tell from this post, it tends to be very late on a Saturday night! I work with computers, so I must confess that the last thing I want to do is spend my evening on my laptop! Currently I do a 9-5 job plus a 6.30 – 8pm slot in the evening, so by the time I’m done it’s pretty much dinner and bed! What beauty/skincare product do you refuse to leave the house without wearing? I’m sure with most bbloggers it varies as I’m always trying different stuff. I absolutely hate wearing make up, and through the summer usually won’t use a moisturiser, so I’m usually bare faced. At the moment my favourite product would have to be HealGel Face – it’s a super light moisturiser that has a healing element (it was formulated by some amazing cosmetic surgeons and biochemists) so it’s great for keeping on top of blemish scarring. I have such problem skin at the moment, which scars really easily so HealGel is my holy grail right now! It’s gotta be Winter! I absolutely love being cosy, and I hate being too hot. Summer is great an’ all, although 2013 was probably the only summer I’ve enjoyed to date, but nothing can beat the romantic Wintery season. Also it’s sort of awkward, but I hate my body and always feel the need to cover up – and in Winter I don’t attract critics or people saying ‘oh you must be so hot wearing leggings/whatever’ which just makes me feel even more self conscious! In Winter I can wrap up with no questions asked – bliss! What brand do you spend the most money on – be it natural beauty products, clothes, etc.? Liz Earle, hands down. I was in there today in fact (out of control!) I buy most skin/haircare from there. It’s a super iconic Island company, and I love the smell of their products and the sense of luxury that accompanies it. If you haven’t tried anything from there, I suggest you give the Cleanse and Polish Hot Cloth Cleanser a go – you pretty much can’t go wrong. It’d legendary within the skincare world… quite rightfully! What are you top three go-to blogs for green beauty and natural living? I’m not sure I have a ‘top 3’ as such, but a few that come to mind at the moment are Rosewode, Bare Faced Chic and NatuRiaBeauty – they’re all great names and definitely worth a read. Bloody hell, what a question! Hmm, I’ve always always hated the way I look and have struggled with my weight. 2 years ago I gained 20 kilos in 8 months, and went from a size 6 to 16 in what seemed like overnight. I was just shocked and mortified, I couldn’t control it and I had no idea what caused it. I then got diagnosed with PCOS. I was prescribed a subsidised gym membership by my GP, and for ages it wasn’t making any difference except making me miserable and intimidated. I then read up on my illness, and the recommended type of exercise was slow pace in short bursts, but regularly. Once I changed my routine I started to notice a difference. So my biggest achievement fitness/wellness wise was simply listening to my body! What gets you out of bed in the morning? What turns you on?! I genuinely have no idea! I’d probably say an overwhelming sense of guilt if I didn’t go to work!!!! Though, things have been more positive since starting my own little venture and going self employed after my recent redundancy. Being in control with my work life is exactly what I needed after a tragic and futile employment! I guess growing myself and constantly learning new skills gets me up in the morning. I only passed my driving test 2 months ago! I used to work for a company that recently made global news for it’s dramatic crash and burn! Me and said fiance are planning our first holiday abroad together for my birthday! I’m not sure I could ever drive on the ‘main land’ (it’s what us Island folk call the rest of the UK…) because I’m way too scared! What is your ‘go to’ product for your skin type? What is the most expensive skincare product you ever bought? Do you believe a healthy lifestyle is essential to have healthy skin? What products do you use when you just can’t be bothered to do the full skincare regime? Do you think it’s important to live a green, sustainable life to support your use of organic/natural skincare products? What miniature products do you pack when you go on holiday? What products are on your wish list right now? Would you ever consider writing sponsored posts?